International discoverability is a prerequisite for higher visibility of journal articles. Promoting academic articles across and beyond the scholarly world (scientists, prospective authors, journalists and wider public) is an important factor that increases the chances of citations and wider circulation. The role of Editors is to create the right settings and opportunities for the propagation and dissemination of each published paper by promoting the article and establishing partnerships with major databases for higher visibility. In economic literature, the leading indexing academic database is EconLit. EconLit’s motto is “Economics Research Starts Here”. This descriptive phrase showcases the commitment of this high-regarded database in indexing quality and authoritative content that enhances the world’s economic literature. Published by the American Economic Association, EconLit is the most reliable source of for research, literature, abstracts and citations to a wide range of economics-related literature. With coverage that dates back to 1886, EconLit is an expanded version of the Journal of Economic Literature (JEL) that uses high-quality standards to index journals, articles, books, working papers, and dissertations. Using the JEL Classification system to index the most sought-after economics publications, EconLit contains nearly 1.3 million records from 73 countries, and adding new 65,000 items each year. 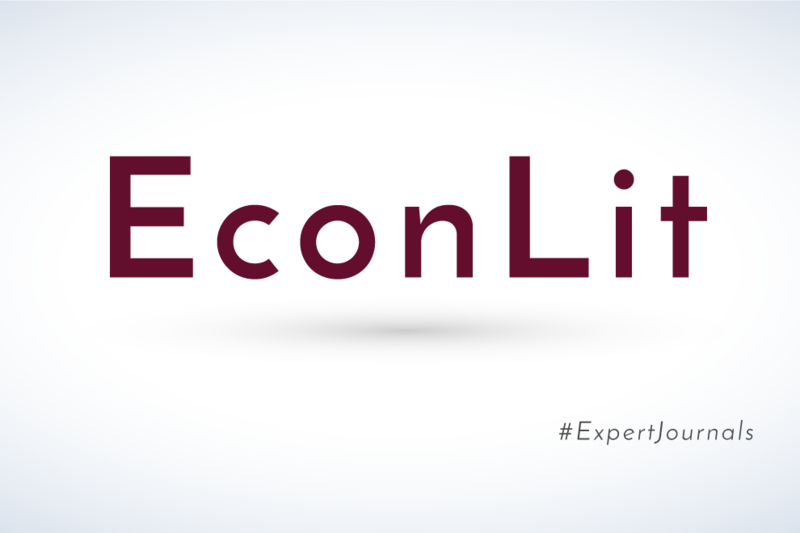 We are proud to announce the indexation of Expert Journal of Economics in EconLit. This new indexation recognizes the high-quality economics articles we’ve been publishing since 2013 and helps us further increase the visibility of our Authors’ work to many industries and research establishments world-wide. The EconLit indexation also serves as a validation of our journal, our editorial process, and the valuable academic articles in economics. With this new partnership with a major academic database, we reaffirm our commitment to our Authors and the promotion of their academic articles in mediums that enhance their impact. At Expert Journals, we strive to offer our Authors a large audience for their research by partnering with major indexing, abstracting, and listing databases. Our academic journals are currently accessible from more than 190 institutions and libraries from around the world, to increase the access and visibility of all published articles. Copyright © 2018 by Sprint Investify. Expert Journals is a publishing division of Sprint Investify.